Yates Mill served as a water-powered mill for more than 200 years grinding corn and wheat into meal and flour for residents of Wake County. Historic Yates Mill County Park is a partnership between North Carolina State University, Wake County and the nonprofit group, Yates Mill Associates. The park opened to the public on May 20, 2006, after restorations were completed. 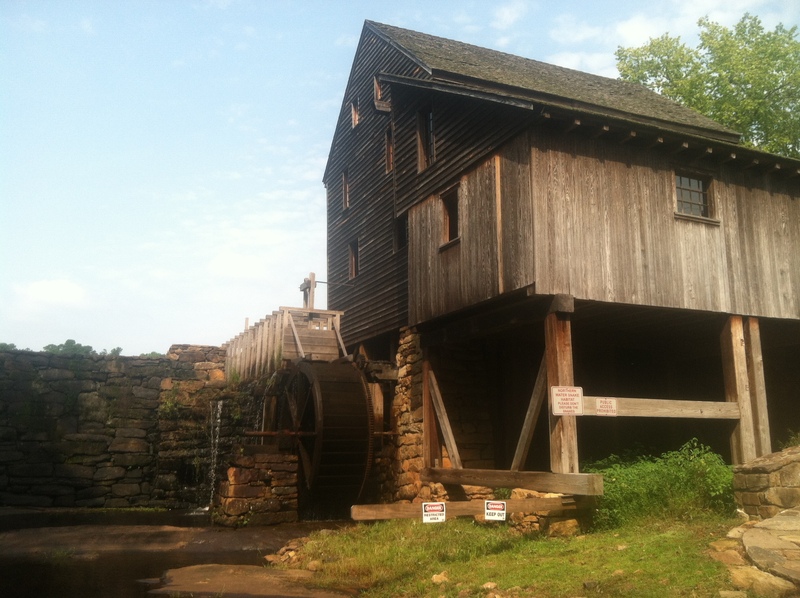 Tours of Yates Mill are available to the public, Mar. through Nov., and corn grinding demonstrations are offered the third weekend of each month during that time. This is the perfect location for Greater Raleigh visitors to get a glimpse of what life was like in the past. Not only are the tours a wonderful way to learn more about where your food comes from, but the park often hosts events for the public. Gather with Historic Yates Mill County Park for the Cornmeal Cook-Off, which will take place on Sun., Nov. 17, 1-3pm. If you enter the Cornmeal Cook-off, you will have a chance to have your recipe featured in the Yates Mill cookbook. Prizes also include cast iron cookware, cookbooks and more! Official rules for the Cornmeal Cook-off include an original recipe made with at least half a cup of cornmeal. Youth and adults are encouraged to enter their most creative recipes. Pizzas, cookies, cakes and more have been entered in past Cornmeal Cook-offs. The holidays are right around the corner and this contest is a great way to try out a recipe in advance. For a complete list of rules and prizes, or to download an entry form please call 919.856.6675 or visit the Historic Yates Mill County Park website.